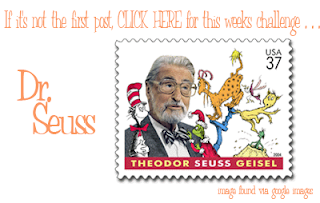 As I am in the midst of planning my Dr. Seuss Party one of my favorite websites So You Think You're Crafty has this. I mean seriously awesome crafters rocking awesome crafty ideas about Dr. Seuss! Also on tap tomorrow I will be making upcycled crayons just like I made for THIS tutorial. I am going to make fish, you know One Fish, Two Fish, Red Fish, Blue Fish style. I will also be decorating with some fabulous red and white striped napkins I grabbed on sale at Target. they will be lovely little Martha Poms like these or these. What else am I doing? Well stay tuned and find out.